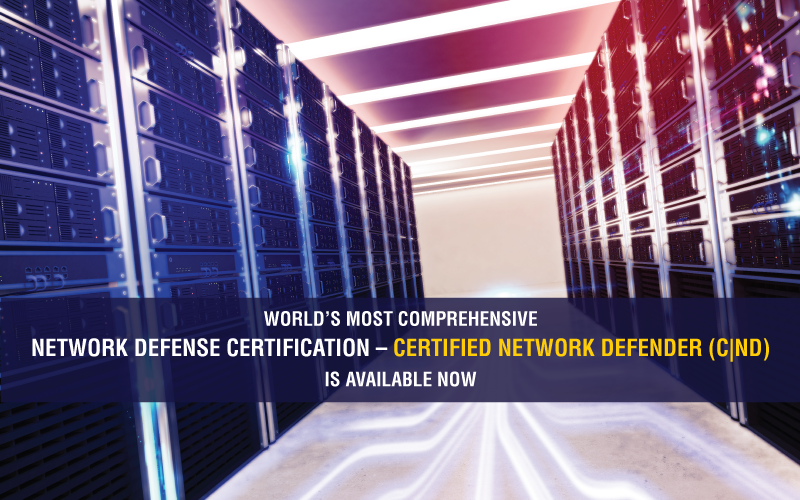 EC-Council, creator of the world famous Certified Ethical Hacker (CEH), Announces Certified Network Defender – a new certification program designed specifically to teach network administrators cyber security skills. Reports have shown for quite some time that there is a tremendous shortage of skilled professionals in the cyber security industry. Cisco reports this as a 6-figure shortage in capable individuals. EC-Council has had the unique advantage of working with governments around the world as well as corporations from the Fortune 500 all the way to small, individual consultant businesses and have seen the effects of this shortage first-hand. Looking closely at the problem, EC-Council determined that the industry actually has a different problem than previously thought and the solution to the problem is readily accessible. Since the early 1990s, extremely capable and specialized security teams have been formed and trained around the world. As cyber security became the responsibility of these increasingly specialized teams, a major sector of IT workers was essentially left behind, relegated to basic admin duties. There are millions of network and system administrators working across the globe with great technical skills but little to no formal training in cyber security. These individuals can act as a force multiplier to bolster the ranks of specialized security teams and dedicated executive leaders in information security. With this philosophy in mind, EC-Council got to work. EC-Council teams began Job Task Analysis committees to determine where the gaps were in a typical network admin or system admin position. The idea was to discover how much information security a typical network or system admin handles. Next, the committees worked to discover what skills the typical admin would need to work on “Blue Teams” or as cyber analysts or cyber network operators. Based on this research, the Certified Network Defender (CND) was born. The training and certification are recommended for operations personnel who although do not have security as their primary job function, need an understanding of cyber security core principles and practices. EC-Council recommends that companies facing a shortage of qualified security practitioners or companies that cannot afford to hire specialized information security professionals consider adding information security duties to their existing system and network administrator job roles. The fastest way to accomplish this would be to send their employees to the only program on the market designed to teach network and system administrator information security skills: CND.